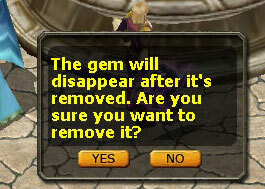 Gems can be embedded, thus it can also be removed. But the removed gem will lose effect and disappear (with no harm to the equipment). You can also find Charles at the market ( 314,515 ) to do this for you. He will charge you 100,000 gold for every gem removed. 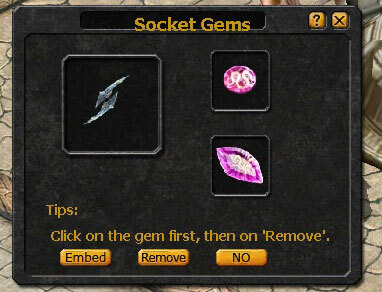 Step 2: Gems are precious, please confirm the removing again.